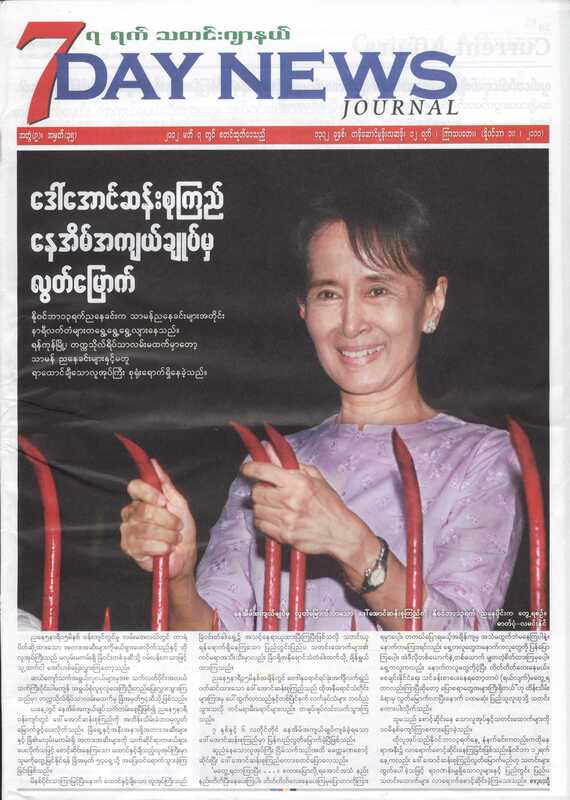 Many New Mandala followers will have heard that nine news journals were suspended from publishing for either one or two weeks due to their coverage of the release of Aung San Suu Kyi from house arrest in November, as reported by The Myanmar Times. 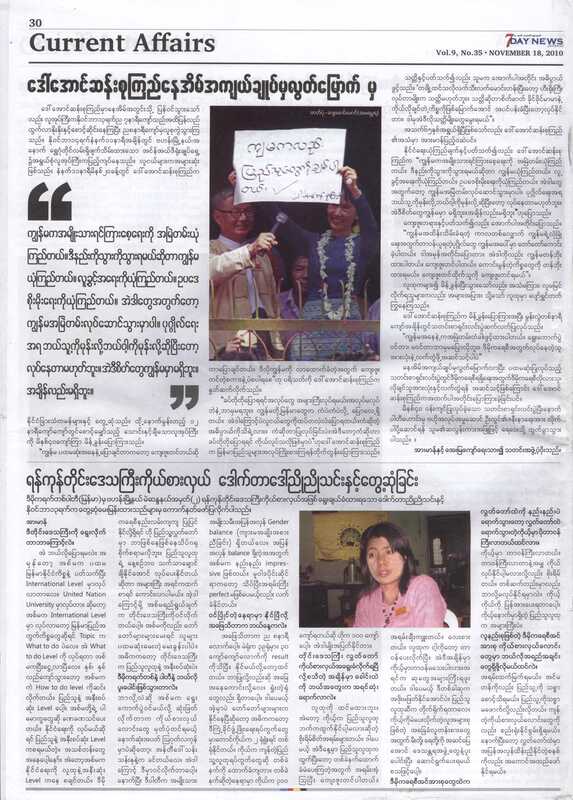 For Burmese readers abroad, here are a couple of examples of what was published, by 7Day News, above, which received a one-week suspension, and by Weekly Eleven, below, which was not suspended, although another publication in the Eleven stable, sports journal First Eleven, was suspended for two weeks. Most people in Burma listen to the radio broadcasts coming from outside the country such as BBC, RFA and VOA for true news about Burma and Daw ASSK. The news printed in the local journals are those doctored already. However, many people still like to read about her wherever and whenever permitted by the authorities. 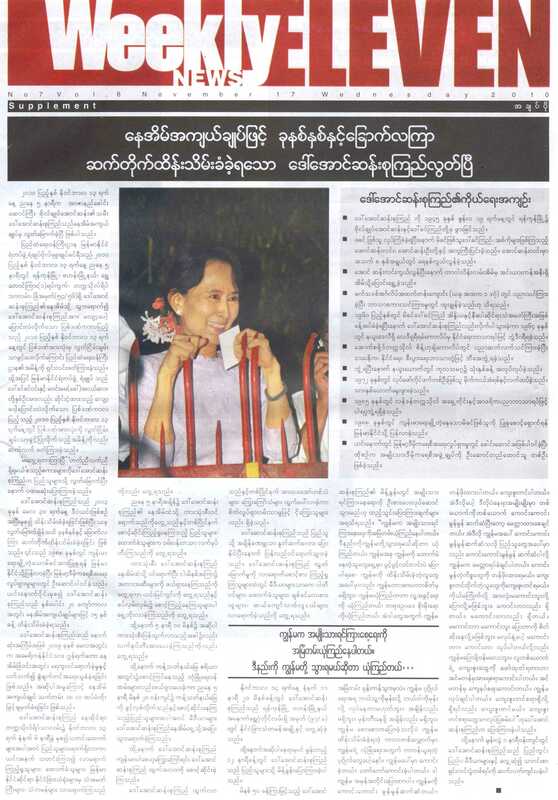 The local Burmese news are all censored. So the suspension of some journals for printing her news is just a show of their inconsistency and arbitrariness on the part of the SPDC. The suspensions were not related to what was reported; it was the way the material was used, namely on the front page. Journals were instructed to print news and pics related to DASSK on the inside pages, and photos could only be “small”. 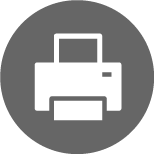 Now, they are getting specific size instructions for photos, like “maximum five inches by three inches”. While some just ignored the “not on the front page” instruction, others tried to get around it by printing it on inside pages and then when the paper was put together wrapping a sheet of four inside pages around the cover. I saw one journal where the front page had “page 28” written at the top! Needless to say, it didn’t help them avoid a week in the sin bin. Dear Kyaw, Whatever the excuse the fact remains the same that the Press Scrutiny and Registration Office lays down guidelines for the journals that have to submit the materials before and after printing for distribution. The slightest aberration from its instructions earn them suspension or even total stoppage. Disciplined democracy in action. Plus ├зa change. Won’t stop people from trying though. They all know what’s newsworthy and what’s not. Nobody reads the state media except for the classified ads such as deaths and marriage announcements. The main content has strangely remained in the stone age of BSPP, although the semi-offocial proxy media tries to be more interesting. Scrutiny will need their eyes propped open 24/7. The proliferation of private media outlets will be a greater challenge than the political parties, radio stations included. The more the merrier. Certainly wasn’t trying to offer any “excuses” for PSRD. I just thought it was an interesting distinction. Journals quite regularly ignore instructions without earning a ban, though, so i wouldn’t agree that”the slightest aberration” can get them shut down. They are pretty aware of when it’s worthwhile taking the risk.